A new cell-based profiling service for drug discovery announced by Reaction Biology Corporation (RBC), a premier provider of drug discovery services, and Promega Corporation, a worldwide leader in the supply of life science products, will allow more researchers to better prioritize compounds earlier. 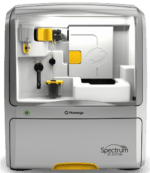 Based on Promega NanoBRET™ technology, the service measures direct target engagement of more than 50 kinases in live cells without disruption of cellular membrane integrity and will be expanded to cover more than 200 kinases in the future. Our customers have been looking for a cell-based service to confirm the biochemical assay data we provide Finally, with the NanoBRET™ service, they can look at highly relevant cell-based results. The Promega assay is unique in cell-based discovery." NanoBRET™ target engagement assays are still available as kits but RBC is the first provider to create an entire panel as a service, allowing more researchers to access the technology. "Biochemical kinase assays are a piece of the puzzle, but don't tell the whole story," says Promega Senior Research Scientist Matt Robers. "By incorporating cellular assays at an earlier stage, researchers can get a better understanding of the impacts of live-cell physiology on the potency and selectivity of their compound. This could save development time and advance chemical matter that has a better chance of having cellular efficacy." "Researchers have been seeking these more kinase-specific cell-based assays at service providers, and RBC's assay optimization expertise and excellent reputation as a service provider make them the logical choice." Promega and RBC will launch the new service at the Discovery On Target conference in Boston, September 25-28.